With Valentine’s Day right around the corner, love is certainly in the air. Celebrating your love is almost expected on February 14th, but what might not be expected is a marriage proposal on March 20th. Finding that one person you can’t live without is exciting. Whether you have found that person at a young age, later in life, or even if you have only been together for a short time, when you know, you know. So, why not pop the question? Propose Day falls on the first day of spring, so what better time to start planning for a new future together? Your loved one will most likely not see a marriage proposal coming if you do it well after a Valentine’s Day filled with roses, candy, and an intimate dinner. While your partner is still reeling from that special romantic day filled with hearts, use the element of surprise to really dazzle them with your surprise proposal. How will you ask? Surprising your partner with an unbelievable proposal that leaves them speechless can take some planning. 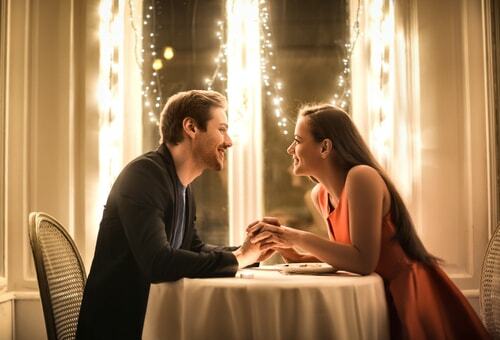 If you are not one to follow the traditional path, then a proposal during a romantic dinner is probably not for you. Take some time to think about your relationship, the experiences you’ve shared and the places you have been. More than likely, this will help you find a special and unique way for you to pop the question. You might want to have a star named after your loved one in honor of the special day, pop the question hundreds of feet in the air in a hot air balloon, or ask for your loved one’s hand where you had your first date. Just remember that it is a day you will both remember forever. It is a moment that you will tell your kids about. So, if you need a little extra cash to make your proposal perfect, an installment loan could be just what you need. With fast access to cash amounts up to $1,250, the sky is the limit. What ring will you use? Choosing a ring requires knowing your partner and what they like. Using a family heirloom may pull on the heart strings more than purchasing a new ring. If you do not have a ring that has been passed down from generation to generation, then you should pay attention to what your significant other finds beautiful. Some will prefer a simple or traditional setting, while other may be drawn to a more ornate or modern design. No matter how or when you propose, make it special. The possibilities are pretty much endless when it comes to planning your perfect proposal. Remember, it isn’t all about money or being showy; the perfect wedding proposal is a moment that should reflect the special nature of your relationship and how much you mean to each other.